Author A.K. Hasan takes readers on a journey of unbelievable clarity and cause, breaking down in clear view the unlikely chain of events that introduced Al-Islam to the African-American community. 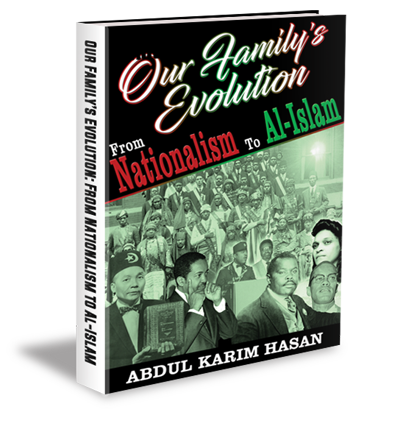 From the end of Slavery through the modern era, he delivers a compelling family account of early Black Nationalism and how it created a path to universal Islam. The book details African-American life in the years following the civil war, and the extreme challenges that followed. Hasan reveals his family’s adverse history in the south, and subsequent migration north where they encountered the birth of Black Nationalism. Through stunning family and personal accounts he then reveals a chain-of-events showing beyond doubt how the foundation was paved for the emergence of Muslims in America. 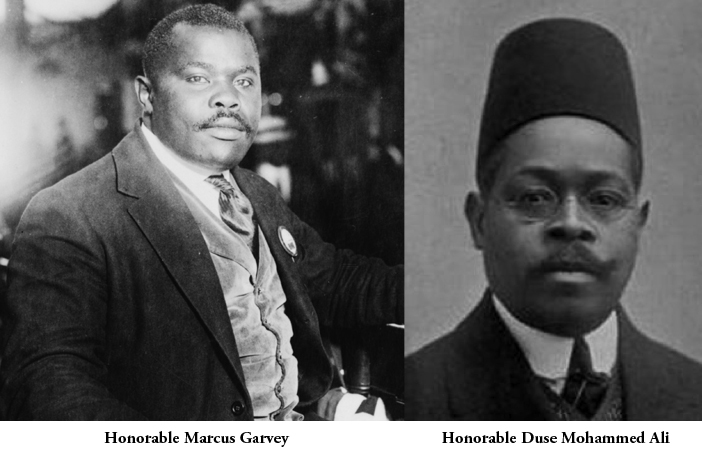 Beginning with Marcus Garvey and Noble Drew Ali early in the 20th century, Hasan discusses the nationalistic movements that helped shape this unique social development. Utilizing his family’s remarkable history, along with his noted personal experiences with The Honorable Elijah Muhammad, Malcolm X, and the Nation of Islam, Hasan provides profound insight into this unparalleled occurrence. Hasan joined the Nation of Islam in 1956 and quickly rose through the ranks. Working with the leadership, he helped grow the Nation of Islam into America's most massive Black movement. 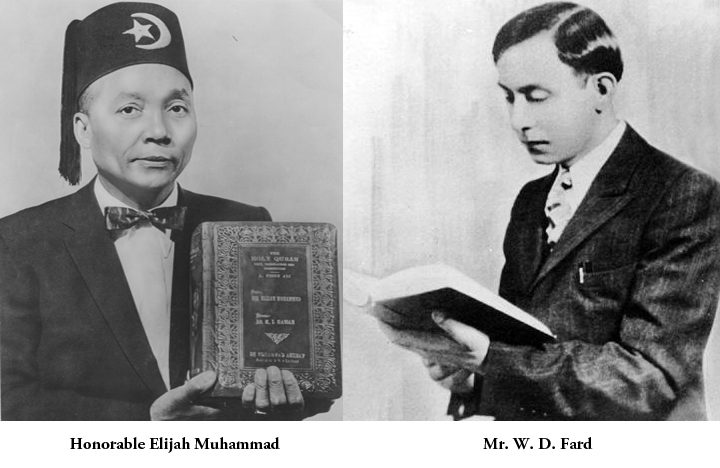 The Honorable Elijah Muhammad would send Hasan to Los Angeles in 1971, making him the official west-coast representative leader. In 1975, he converted to universal Islam, under the guidance and leadership of Imam W. Deen Mohammed (son of Elijah Muhammad). The book features incredibly rare photos and historical literature (with captions) highlighting this unique evolutionary process, and its unlikely trek towards universal Islam. A.K. Hasan provides readers keen insight into a part of American culture seldom studied. His spiritual wisdom and real-life experiences provide a captivating analysis of this fascinating story. 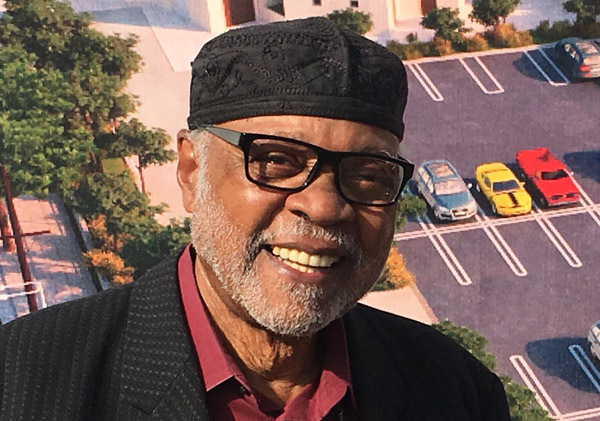 Abdul Karim Hasan is currently the director and resident Imam of Masjid Bilal Islamic Center in Los Angeles, the oldest identifiable Muslim community in the city. He is a renowned Muslim historian whose travels have seen him recognized by Islamic leaders around the world, which was highlighted by receiving the Da’wah Medal of Excellence from Egyptian President Hosni Mubarak in 1993. The author traveled to nearly every corner of the globe as an ambassador and associate of late Muslim-American leader Imam W. Deen Mohammed. It was during their extended time together that Imam Mohammed suggested he write this “important book” about his family’s defining experience, and now much to the benefit of readers, as well as American history, A.K. 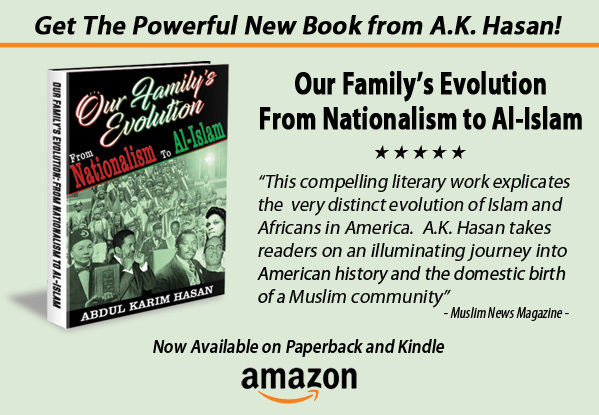 Hasan has responded with an edifying literary work that explicates the distinct evolution of Islam and Africans in America.